Elastic Search support bulk index, delete, update operation using Bulk API. In this article, we will discuss how to index a large JSON file using GSON and Elastic Search Bulk API. In this article, we will use GSON streaming API to parse large JSON file efficiently and also to avoid OOM error. Bulk indexing helps us to improve indexing performance as we can be indexed multiple documents in a single API call. Now we will discuss how to use Elastic Search Transport client bulk API with details explanations. Step 2: Add the required dependency in a project. Elastic Search team provides client APIs to communicate with the elastic search for Java, C# .NET, Python etc… In this article, we will discuss the Java client of Elastic Search and GSON library for JSON streaming API. Add below dependencies in your project. TransportClient class is used to communicate with an Elastic Search cluster. It connects the ES cluster using a transport module. Here is the sample code to the initialize client. The next step is to create Index and Index type in Elastic Search. Transport Client automatically index and index type, if it does not exists when you submit any document for indexing. 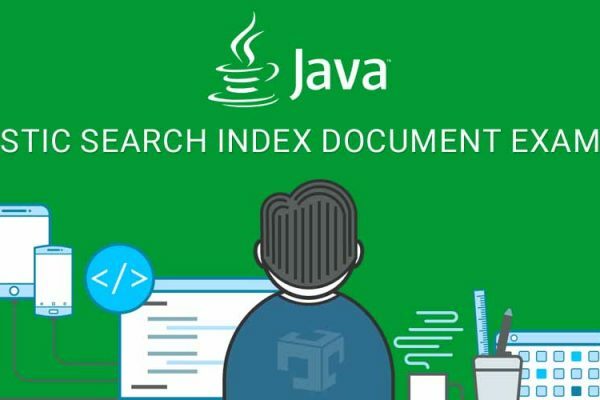 As per the Elastic Search Index API Documentations, there are several ways to generate JSON document, out of these options in our example we have used JSON Builder to construct the document. Refer below syntax to construct JSON Document. Use GSON Streaming API to iterate all the records from a large JSON file, prepare JSON document and add it to a bulk request using addmethod. After adding the certain number of documents in the bulk request call execute method to add all the document to Elastic Search. I have 1.5GB of JSON file which contains document and it’s related metadata information. This file contains around 2.5M records and I want to index this file in Elastic Search for some analytics. Here are few records from an input file. A pojo class which used in GSON streaming API. In this article, we have discussed how to index a large JSON file in Elastic Search using Bulk API and GSON streaming API. We have discussed step by step API description of elastic search client api, GSON streaming API, some admin operation like refresh indices and sample match all document query for basic QC. You can also check our Git repository for Elastic Search Index Large JSON File Example and other useful examples.